The RV industry is booming across the country. With a 12 percent increase in shipments this February compared to last, the profits are trickling down into our local economy as well. Statistics from the Indiana Department of Workforce Developmentshow Elkhart County has one of the lowest unemployment rates in the state at 4.2 percent. With a better economy than in recent years and a high demand for product, one local RV manufacturer is experiencing the growth firsthand. In just a year's time, Grand Design RV in Middlebury has increased its workforce by over 40 percent. “We’d never see this type of growth without the employee base that we have,” said Don Clark, CEO & Co-Owner, Grand Design RV. 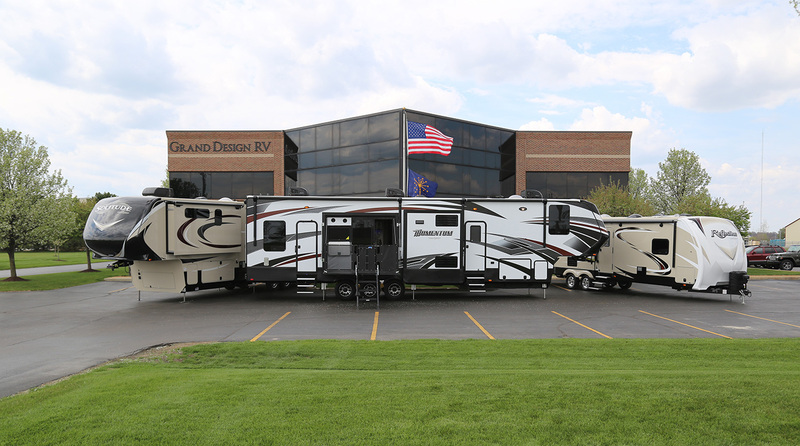 At the start of 2015, Grand Design RV had about 540 employees on its roster. “We really try to give them as much influence in the direction of our company, and it's working,” said Clark. In just one year, the company now employs more than 760 people. “We’re busting at the seams. We're blessed. It's pretty cool. We've got a great workforce,” said Clark.